Hi Potential Guests! I'm Robert, a Destin vactioner since I was a child. My unit is at the Luau I on the 8th floor in the SanDestin property complex. It's a one bedroom 1 bathroom that sleeps 4 people (sofasleeper). I hope you love this city and my unit as much as I do. 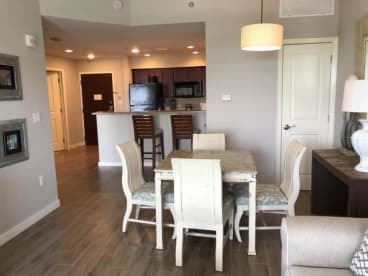 If you would like to book my unit or have questions, please email me so I can coordinate everything with you to make sure your stay is organized perfectly.